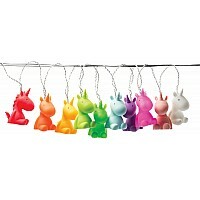 A rainbow of 10 unicorn lights. Requires 3 AA batteries. For ages 5 yrs-teen, from Iscream.